The 5th anniversary edition of digital culture festival Resonate begins tomorrow in Belgrade. Held annually in the Serbian capital, Resonate brings together artists, educators and researchers in the fields of music, visual arts and digital culture, with the aim of facilitating a forward-looking debate on the role of technology in art and culture. Resonate features both a conference programme and the Resonate LIVE music festival. Among the headliners of the festival is UK-based recording artist Squarepusher. Other notable acts include Omar Souleyman, a Syrian musician and keyboardist who brings together contemporary technology and ancient traditions, and German experimental, ambient and electronic musician Hans-Joachim Roedelius. 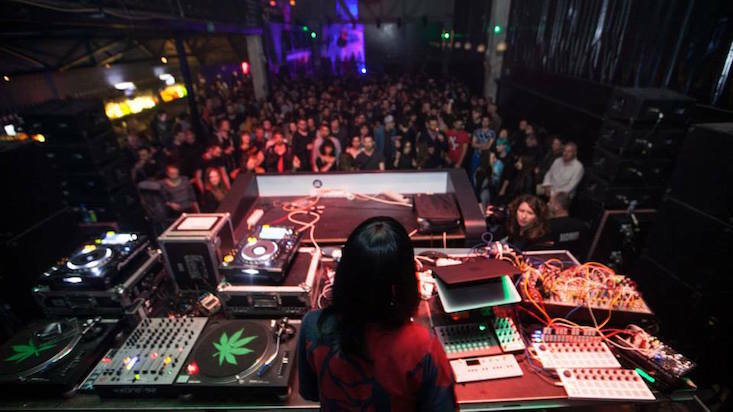 The festival will be held at locations around Belgrade, such as the Belgrade Youth Centre (Dom Omladine), the Parabrod cultural centre and the Yugoslav Film Archive. Resonate will take place from 12 — 16 April. More information and a full schedule can be found on the festival’s website.